Launched in 1970, the Safari Park is still in barren state in most parts, attracting kites and crows from neighbouring areas but offering little shelter to poor animals. 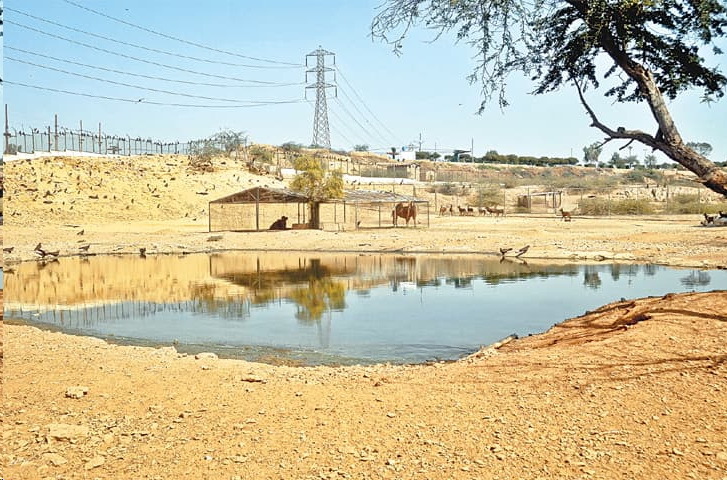 Animal well-being and welfare, a subject which requires high priority at least at state-run facilities for captive species, has been completely ignored in an ambitious project that the government plans to launch at Safari Park in Karachi. It’s the second project, the first currently in progress at the zoo, in recent years in which the government had solely focused on how it might earn revenue from these facilities while overlooking the whole range of technical aspects involved in animal welfare and visitors’ education, they said. Titled ‘KMC Theme and Safari Park’, the project is estimated to cost Rs 7.7bn and will be executed under a public-private partnership. The Safari Park received this project after remaining in serious financial straits for the past two years. It seems that both the Karachi Metropolitan Corporation (KMC) running the park and the local government are now ready to work hand in hand to generate revenue through infrastructural development for recreation. The government had initiated the pre-qualification process by inviting an expression of interest through newspaper advertisements. The project has two components: a 28-acre theme park, which would include rides, entertainment and business centres and other facilities for public attraction, and a Safari Park spread over 81 acres. “The Safari Park will include a pet farm auditorium, splash zone and the spectacular safari ride in which additional 78 animals will be procured and adequately placed with the existing animals in an uncaged environment with adequate safety measures,” a document says. The project would be executed on a build-operate-and-transfer basis for 32 years. The concession period includes a procurement period of two years and an operational period of 30 years. The government of Sindh would be required to enter into a lease/licence arrangement with the concessionaire, which will be responsible for operating and maintaining the Theme Park and Safari Park “in accordance with applicable standards”. The project document, however, has no mention of any expenditure under the head of animal well-being/welfare and staff induction and training, which the facility desperately needs. A senior KMC official shared his concerns over the project and said that he had no hopes after seeing what was happening under the zoo uplift project. “It’s nothing but tragic that lots of funds have been wasted in raising a new boundary wall for the zoo, something which wasn’t required at all. Apart from the gaps in the project, it is being executed at a snail’s pace, causing lots of problems to animals,” he said. The Safari Park, with the zoo, has been facing official neglect for decades, reducing these facilities to dumping grounds for wild animals, many of them exotic species imported at high prices. The modern concepts of upgrading these facilities as places for protecting, raising native endangered species, educating the public on animal behaviour and reintroducing species in the wild has not inspired the government mindset. Resultantly, the KMC or the provincial government has not invested a single penny in staff training in decades. Both zoo and Safari also suffered from chronic staff shortage. The problem lies with the official mindset, looking at animals as a source for visitors’ recreation. This is simply outrageous. Taking care of animals, which is the most important job, is performed by illiterate staff with no training whatsoever. The government should close down the zoo and Safari if it can’t bring these facilities at par with international standards. 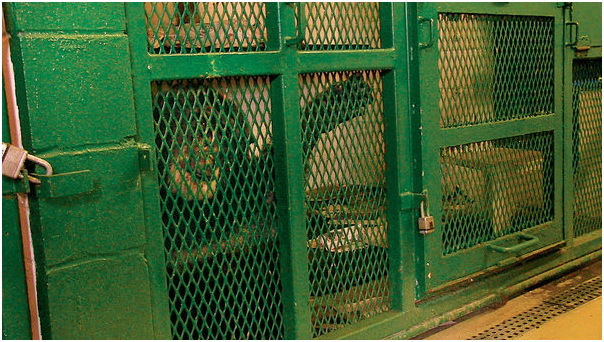 Keeping wild animals without sufficient care is absolute cruelty. Government apathy towards the Safari Park could be gauged from the absolute lack of vegetation in the large area reserved for animals. It had hardly been a few years that the facility was provided with proper water supply network. When contacted, Municipal Commissioner Dr Syed Saif-ur-Rehman, who is overseeing both the zoo and Safari, admitted that the project lacked the component of animal welfare. “I am trying to focus on this and make it a part of both projects. We need to understand that each animal has special needs that must be fulfilled if we are keeping them. Else they would suffer from depression and stress as we do,” he said, adding that though staff training was not part of the project, efforts would be made to fill that gap. Answering a question relating to Safari’s land under litigation, he said the claim on the land was “false” and it would not affect the project for which the government would provide loan.